Pay $1.89 or more to get these Steam games first 24h only and save 98%! 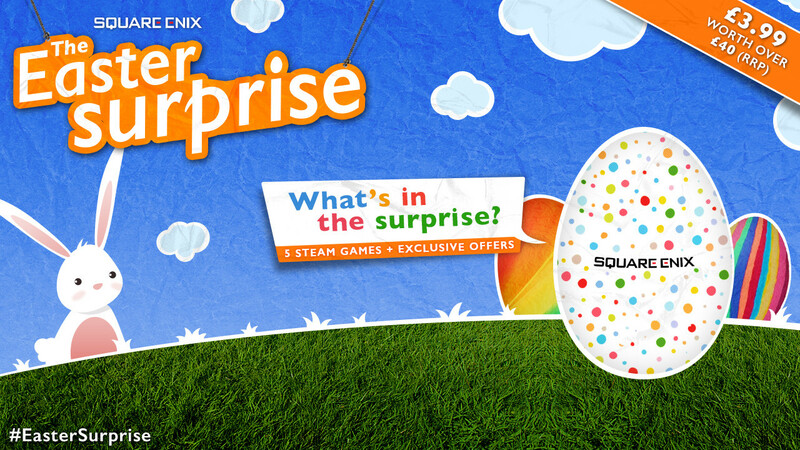 Just in time for Easter, treat yourself to the Square Enix Easter Surprise! For only £3.99 receive a cracking selection of 5 surprise Steam games, plus online store offers – the games are usually worth over £40 (RRP or equivalent). Hurry, this offer is available from March 26th – 12pm March 31st 2015, only at the Square Enix store. Bursting with 5 Steam games plus exclusive Square Enix online store offers, this is one surprise we hope will put a spring in your step! If you happen to be a great friend, or perhaps just want to be owed a favour - spread the Easter spirit and gift purchase the entire Easter Surprise, or just share some of your own games and discounts to your friends and family. The contents of this exclusive deal will be announced after 12:00pm on March 31st, which is when this deal ends. Following the announcement of the contents, Steam keys and Square Enix store offer coupons will be delivered to you from 4pm GMT that same day. Reserve your surprise now to avoid missing out! Pay $1.00 or more to get these Steam games! 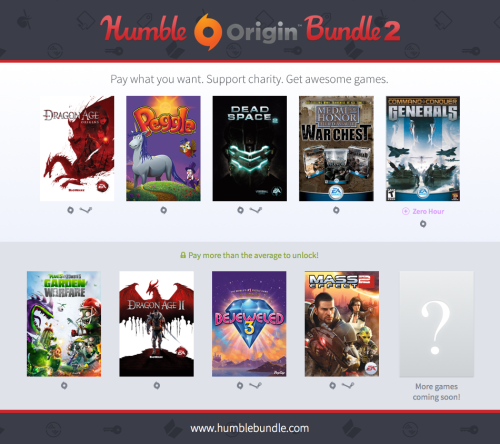 Pay $4.99 or more to get this bundle full of Steam games. Risk of Rain - highly recommended with friends & good voice comms! It’s your last chance to grab Virtua Tennis 4, at the great discount of 80% off! From the 23rd April 2015 onwards, Virtua Tennis 4 will be unavailable to purchase digitally. Last edited by Pyre; 15-04-2015 at 07:06 PM.. Steam has Endless Space at 80% off.